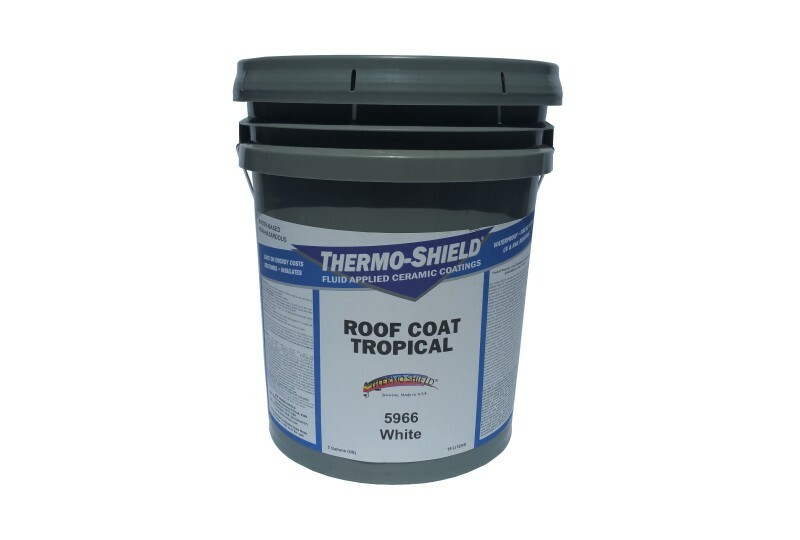 Thermoshield Roof Coat is made from a proprietary formula that can increase a structure’s efficiency and lead to significant energy savings. The flexible coatings are made from a water-based compound of pure acrylic resin filled with vacuumed sodium borosilicate ceramic microspheres. The tiny spheres - each approximately 100 microns in size - combine to create a smooth membrane that acts like a thermal blanket over the roof. Despite being very thin, this “blanket” can dramatically increase efficiency. Because the coating is seamless, it can easily bridge small cracks and gaps in the roofing structure. 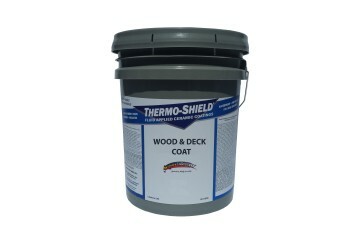 The Thermoshield formula is completely non-toxic, so it is environmentally friendly. When dried, it is washable and able to repel most substances, including harsh chemicals. Thermoshield Roof Coats are highly reflective, so they do not absorb heat from the sun. Because the coats have a very low conductance value, they 1) keep cooler air under the roof from escaping and 2) do not conduct solar heat to the area under the roof. The roof coats also reduce noise transmission and protect the structure itself from UV rays. The roof coatings will be effective in almost all climates. 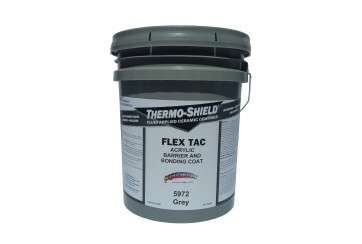 They have an effective use range from -40 degrees C to 204 degrees C.
Thermoshield Roof Coat may be utilized wherever a weather-resistant membrane-like coating is required. The coating will adhere to many surfaces, including: wood, foam, galvanized steel, aluminum, asphalt roof shingles, concrete, and asbestos. Typical under-roof insulation slows the transmission of heat and cold, but it does not stop heat loss or gain. 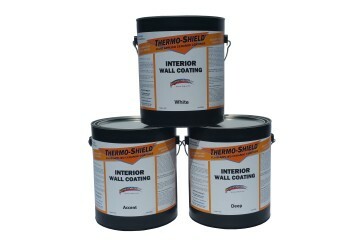 This is where Thermoshield’s impressive reflectivity, emittance and conductance performance is important. The heat from the sun (solar gain) is only a problem if it is absorbed by the roof. 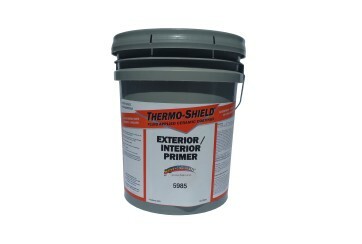 Thermoshield reflects most of this heat back into the atmosphere, and its low conductance value means that any heat that remains does not pass through the roof. This will not only provide cooling shade to the structure that the roof covers, it will also lower cooling costs overall. The coatings will work in extreme environments. 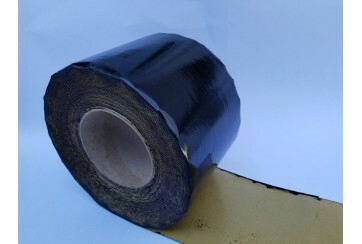 They will remain flexible down to -45.6 degrees C and maintain their integrity up to 204.44 degrees C.
the coatings provide excellent resistance to ponding water on a roof. This is because the membrane becomes water resistant when it is saturated. The polymers that make up the membrane swell when wet, closing the pores so that nothing passes through. As they dry, however, these pores open, allowing the water to evaporate easily. Roller or airless paint sprayer recommended. Very small areas may be brushed. When applied by brush, three coats, cross-brushed, are required for adequate protection.